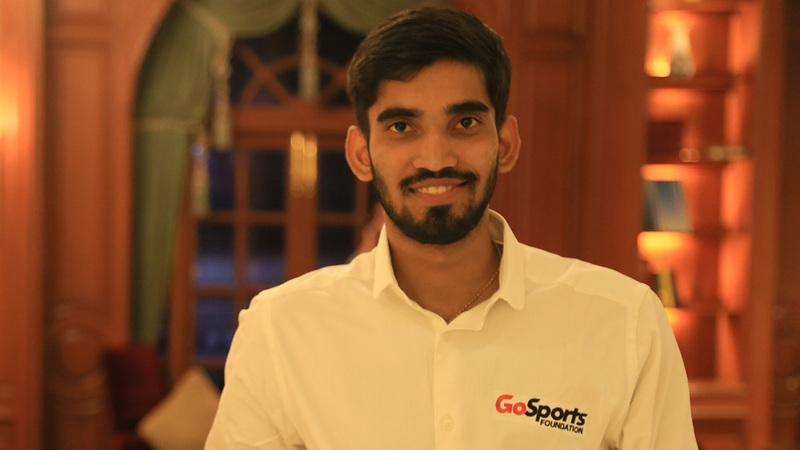 GoSports Foundation has been a part of Srikanth’s journey since he was 18 years old and ranked 338 in the world. Today, Srikanth is ruling the badminton world and is India's top men's singles shuttler. He hails from the Guntur district in Andhra Pradesh and is the son of a farmer. He decided to play badminton the day he got to meet his idol, now coach and mentor too, Pullela Gopichand when he came back with the coveted All England trophy. From being a young guy with big dreams to achieving so many of them while tweeting with #believe and #achieve tags on twitter, Srikanth is the perfect poster boy for your annual dose of inspiration. Donate now and help us create more such sporting champions for India. Who knows? The next Indian athlete standing on the podium at the Olympics or Paralympics could be there because of your support.